The Bluegrass Music Hall of Fame & Museum’s Grand Opening is October 18th – 20th, 2018. The $15 million building at 311 West Second Street, in downtown Owensboro, Kentucky opens its doors with three days of music highlighting the rich past, dynamic present, and exciting future of bluegrass music. The new facility will feature weekly concerts in the 447 seat Woodward Theatre. Planned concerts to-date include Ricky Skaggs & Kentucky Thunder, The Del McCoury Band, Marty Stuart and his Fabulous Superlatives, The Infamous Stringdusters, and Hot Rize. On Thursday, October 18th, the Grand Opening begins with a Hall of Fame celebration night. Hall of Fame members performing include Bobby Osborne, Doyle Lawson, Larry Sparks, Rodney Dillard, and Paul Williams. Artists honouring Hall of Fame inductees include Tim O’Brien, Stuart Duncan, Charlie Cushman, Mike Bub, Larry Stephenson, and Mike Scott. The ‘House Band’ will feature Sierra Hull, Stuart Duncan, Charlie Cushman, Mike Bub, Tim Stafford, and Josh Swift. This event is by invitation only and closed to the public. Sam Bush will perform to a sold out audience on Friday, October 19th in the first ticketed event in Woodward Theatre. Exhibits open to the public on Saturday, October 20th with paid admission. After the Grand Opening, the Bluegrass Music Hall of Fame & Museum will open to the public for tours of exhibits and the Hall of Fame. Hours of operation is Monday through Saturday, 10 am to 5 pm, and Sundays from 1 pm to 5 pm. More information about Grand Opening can be found at: bluegrassmuseum.org/grand-opening. For tickets and information about upcoming concerts, please go to: bluegrassmuseum.org/tickets. Media information including press access during Grand Opening, print-ready graphics, and artist renderings of the new building, can be found at: bluegrassmuseum.org/press. Located in Owensboro, Kentucky, the Bluegrass Music Hall of Fame & Museum is a nonprofit dedicated to the history and preservation of bluegrass music. Among the many community and educational events produced by the Hall of Fame is the annual ROMP Festival, a four-day bluegrass music festival attended by over 25,000 annually. Grand Opening weekend of the new facility is October 18-20, 2018. 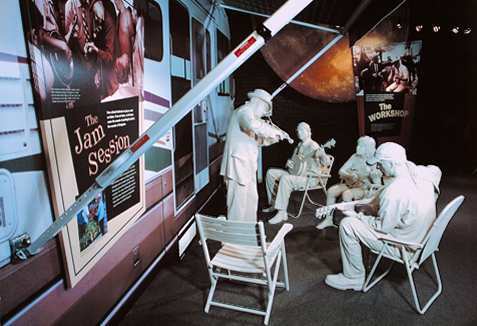 Learn more about the Bluegrass Music Hall of Fame & Museum at bluegrasshall.org. National Search For New Director Underway. The board of trustees of the International Bluegrass Music Museum today announced an important transition in its administrative leadership that reflects the organisation’s rising stature and maturity as a centre of preservation and innovation in bluegrass music. Gabrielle M. Gray, the museum’s chief executive, ends her exceptional 12-year tenure as the museum’s creative leader and retires as executive director. Gray retains her position as Executive Producer of ROMP, the signature bluegrass music festival she founded in 2004. Gray also remains the museum’s primary grant writer. Carly Smith, a staff member since May 2011 and the museum’s assistant director,, will assume the role Interim Director. The museum’s board, chaired by Peter Salovey, the president of Yale University, will conduct a nationwide search for a new executive director. This is a tremendous convergence of events that strengthens the museum’s work to promote bluegrass music. The shift in leadership responds to Gabrielle’s desire to focus on ROMP and fundraising, giving the museum continuity and keeping her closely connected to the project that has become a signature event in the nation and helped to brand Owensboro as a leading worldwide center of bluegrass music. The leadership transition that starts today comes after months of preparation and follows more than a decade of steady growth in the International Bluegrass Music Museum’s programs and activities, fostered by the close collaboration between Owensboro philanthropist Terry Woodward, the museum’s 21-member board of trustees, and Gabrielle Gray. Gray’s work to establish Owensboro’s national and global reputation as the center of bluegrass music is most closely identified with ROMP, the annual music festival that attracts the finest bands in bluegrass roots and branches music with over 20,000 people attending during its annual run at the end of each June. The festival’s success is due in large part to the close working relationships Gray formed with the IBMM board’s ROMP committee and her staff, including Carly Smith, whom Gray hired to help manage volunteers and ground activities at the festival and run administrative operations at the museum. Gray leaves her directorship having constructed a strong foundation for future excellence at the museum, including an operating endowment exceeding $1million. It gives me great pleasure to see how far we’ve come as a museum and as a performing arts entity in our community. All of our programs have grown by leaps and bounds. Working in close partnership with Carly Smith for the past three years has given me complete confidence in her ability to guide staff and operations at the museum while the Board of Trustees search for a new Executive Director. We have a dedicated Board of Trustees, two of whom – Rosemary Conder and Ross Leazenby – are assisting with this transition. I am delighted to remain in the leadership coalition of the museum, to write its grants and produce what I and many others consider to be one of the finest music festivals in the world. Nothing gives me greater pleasure than presenting the best musicians in the world in the finest atmosphere at Yellow Creek Park. Nothing makes me happier than experiencing amazing music and sharing it with my local and global community. I want to take this opportunity to thank all the terrific staff at IBMM, and the trustees, especially Terry Woodward at the City of Owensboro, Daviess County Fiscal Court, Kentucky Arts Council, all our granting agencies and foundations, ROMP sponsors, Museum and Center donors, members and supporters, volunteers and attendees – all the thousands of people who have been so instrumental in enthusiastically elevating the bluegrass museum to carry the banner for Owensboro, Kentucky, and for bluegrass music worldwide. All these entities working together have made it possible for ROMP to advance to the position it now holds in the pantheon of great American festivals, and for the International Bluegrass Music Museum to responsibly preserve the history and artifacts of this amazing, international music genre – Gabrielle Gray. The International Bluegrass Music Museum is in the final stages of completing a full-length documentary video about Bill Monroe, the Father of Bluegrass Music, in commemoration of the centennial anniversary of his birth on 13th September, 1911. To accomplish this goal, the Museum is reaching out to fans of bluegrass music and music lovers everywhere. Interested parties can make a donation in the next six weeks by one of two ways: donate on the Museum’s secure home page, www.bluegrassmuseum.org, or mail a cheque to IBMM, 207 E. 2nd Street, Owensboro, KY 42303. Please write “Bill Monroe Documentary” in the subject line. At the Museum’s annual outdoor music festival, ROMP, which took place23rd – 25th June this year, over $7,500 was raised to kick start the documentary completion campaign. The goal is to raise $50,000 to complete the documentary in time for the once-in-a-century Bill Monroe Centennial Celebration taking place at the Museum September 12 -14. Donors may choose from several premium thank you gifts from the Museum. For more information see Finish The Film Website. 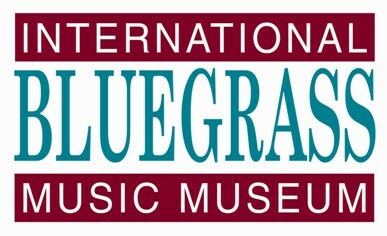 Since 2003, the International Bluegrass Music Museum has identified, located, and professionally videotaped over 250 in-depth interviews with bluegrass music’s legendary 1st and early 2nd generation performers, utilizing knowledgeable interviewers to elicit the most memorable events and stories of their long and iconic careers. This collection represents the only comprehensive video archive of the bluegrass music genre. It contains stories of lifelong friendships, lives and loves and fortunes made or broken, musicianship that became virtuosic and astoundingly popular, and the shared joy and surprise of being integral, founding partners of what has become an internationally acclaimed art form whose practitioners and fans number in the tens of millions. Among those interviewed for the documentary project are Bill Monroe’s band mates–those living of the original 155 legendary members of “Bill Monroe and the Blue Grass Boys” at various points throughout his 65-year performance career. The International Bluegrass Music Museum is a 501(c)3 nonprofit organization whose mission is to develop and maintain an environment in which people of all ages can discover the richness of bluegrass music. Contact Gabrielle Gray, Executive Director, at gabrielle@bluegrassmuseum.org for further information or visit the Museum’s website. News From The International Bluegrass Music Museum. ROMP, Bluegrass Roots and Branches Festival will be held from 23rd to 25th June, 2011 at Yellow Creek Park just outside Owensboro, Kentucky. Headlining the event are Steve Martin with the Steep Canyon Rangers, Emmylou Harris, Trampled By Turtles, Carolina Chocolate Drops and Punch Brothers featuring Chris Thile. Adult 3-day passes to this annual fundraising event are on sale in advance for $70 each. Museum members receive a $20 discount. Student 3-day passes are available for $55; active military and senior passes are $60. Three-day passes are sold in advance only. Single-day tickets are $25 and are available both in advance and at the gate. Dry tent camping at Yellow Creek Park is free for 3-day pass holders. For tickets, go to www.bluegrassmuseum.org. In addition to the artists listed above, the festival line-up includes bluegrass heavy hitters Tony Rice performing with Mountain Heart, The Infamous Stringdusters, Pete & Joan Wernick, Audie Blaylock & Redline, Kenny & Amanda Smith, Valerie Smith & Liberty Pike, Grammy-nominee Sarah Jarosz, IBMA Guitar Player of the Year Josh Williams, The 23 String Band, The Professors of Bluegrass , Loose Cannon Bluegrass Band, Bawn in the Mash, King’s Highway, and the Museum’s own student brigade, the Kentucky BlueGrass AllStars. Showcase bands are yet to be announced. ROMP 2011 will undoubtedly be its biggest year to date. 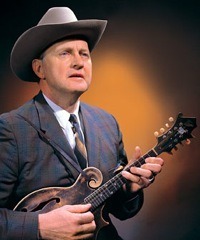 The expanded program is part of IBMM’s year-long celebration of the 100th anniversary of the birth of Bill Monroe, Father of Bluegrass Music, who was born and grew to manhood in nearby Ohio County, Ky. The program will feature a wide variety of bluegrass and bluegrass-related genres including old time, Americana and jamgrass. “We booked non-traditional acts to illustrate the wide range of influence bluegrass music and Bill Monroe have had-and increasingly continue to have-on today’s music culture. We are so fortunate to have these artists coming to the heartland of bluegrass to perform for us – Museum Director Gabrielle Gray. In addition to the musical line-up, this year’s festival will feature Museum exhibits and a film festival of the Museum’s documentaries on the lives of first generation bluegrass musicians. New to ROMP 2011 are late-night jams. “This year at ROMP we’ll be having all-night jams around a bonfire after the main stage shuts down each night. It’s a great way to make new friends-jamming ’til the sun comes up,” Gray says. For more information see the IBMM’s web site at www.bluegrassmuseum.org. The Monroe-Style Mandolin All-Star Faculty Concert was recorded live at the International Bluegrass Music Museum in Owensboro, Kentucky, on 10th September, 2010. It featured camp director Mike Compton (Nashville Bluegrass Band, Elvis Costello & The Sugarcanes), associate director Dr. Richard Brown (The Reunion Band), Hall of Fame member Bobby Osborne (Bobby Osborne & The Rocky Top X-Press), Gibson master luthier David Harvey, Skip Gorman, David Peterson (David Peterson & 1946), IBMM education director Randy Lanham and co-director David Morris, and others. The broadcast will also be streamed on the Internet at www.wnin.org. Production and broadcast of the Monroe-Style Mandolin All-Star Faculty Concert is a partnership between WNIN Tri-State Public Media and the International Bluegrass Music Museum. The Monroe-Style Mandolin All-Star Faculty Concert is the highlight of the Monroe-Style Mandolin Camps held the second week of each September at the museum. For more information go to http://www.bluegrassmuseum.org. For our US readers, the concert will air on Saturday, 11th December at 8:00pm CST on WNIN-FM, with a repeat on Wednesday, 15th December at 7:00pm centraltime. WNIN is based in Evansville, Indiana, and can be heard throughout the Tri-State area (including southern Indiana, western Kentucky and southeastern Illinois). Here’s a website providing a launching pad for the celebration of the Bill Monroe Centennial next year. One hundred years since his birth in Rosine, Kentucky, the music genre, conceptualised by Bill Monroe and brought to reality in the 1940’s, is now established, recognised and enjoyed globally by tens of millions of people. There was three of us brothers to start with, that tried to play music and, of course, they was older than I was, and one of them, Birch, wanted to play the fiddle. Charlie loved the guitar, so I got the mandolin. I wound up with that – Bill Monroe. The website also lists a host of events which will go towards the year long celebration in 2011 – Bill Monroe Centennial Website. Owensboro Kentucky – city officials recently announced changes for the downtown and riverfront redevelopment project that will feature a huge convention centre, entertainment arena, outdoor amphitheatre, new hotel complex, parks, gardens, fountains, new restaurants and in all likelihood, an International Bluegrass Music Center that would triple the current museum’s existing space. The plan proposes moving the International Bluegrass Music Museum from its present location to the old State Building on 2nd and Frederica, which would place it squarely at the center of the two main arteries in town and triple its current size.Â This would make bluegrass music the centerpiece of the entire city of Owensboro, with great benefit to the Museum and its amazing collection of artifacts. This is a developing story, so stay tuned for more information about how you can help. Are you ready to come help us move? We may have a party and invite you all to come form a LONG line of people all the way across 4 city blocks, passing boxes from one person to the next, with bluegrass bands in the streets keeping us perked and ready. We’re going to really be working on a building, getting it ready for you to come visit. Bendigo bluegrass presenter Geoff Morris reports that this coming Tuesday, 8th June, on his Wall-To-Wall Bluegrass show, aired twice a week on worldwidebluegrass.com, that he will be playing a special interview he recorded recently with International Bluegrass Museum Executive Director Gabrielle Grey. This is a delightful talk with the passionate Executive Director of the Bluegrass Museum in Owensborough, Kentucky and focuses chiefly on what will undoubtedly be four astonishing and memorable days from June 23rd to the 27th in and around the Museum . The River Of Music Party (ROMP) will commence with two full days focussing on a large number of people who played at one time or another with Bill Monroe’s Bluegrass Boys, all of which, (stories, experiences and performances) will be filmed. These two days also will feature plaque installationsÂ to the Bluegrass Hall Of Fame, a Bluegrass Pioneers Recognition ceremony and Legends concert – Geoff Morris. This special interview will go to air in the first hour of Geoff’s Tuesday program on 8th June. For Australian audiences that’s between eleven a.m. and midday Eastern Australian Standard Time. FOr US audiences it’s 9:00pm to 10:00pm on Monday 7th June, eastern Daylight Saving Time. Wall-To-Wall Bluegrass, which recently celebrated its 300th show, airs twice a week: Tuesdays from 11:00am. to 2:00pm and Saturday mornings between 8:00am and 11:00am, both Eastern Australian Standard Time. 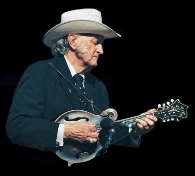 The worldwide bluegrass community will celebrate the Centennial of Bill Monroe, The Father of Bluegrass Music, in 2010 and 2011. Events will be held internationally, as bluegrass has a following in dozens of nations with a total fan base in the tens of millions. There will be films made and concerts, special exhibits and events taking place, many centered in this region, especially in this museum and at the Bill Monroe Homeplace in nearby Rosine, KY.
All the works will be for sale after the exhibit is dismounted. It is planned that artists will receive 60% of the proceeds from the sale and the museum will retain 40%. The museum is partnering with Rex Robinson, a well-known Kentucky artist who has a native’s in-depth knowledge of Monroe as a folk legend. He will work with artists as necessary to get their works ready for display, and he will help curate the exhibit. Robinson is a Monroe enthusiast and has mounted several exhibits inspired by Monroe and bluegrass music. Robinson will work with a panel of jurors, making certain that Monroe’s ethos is present in the artistic renderings of his songs. He will select a panel of jurors, provide them with criteria, and lead the selection process. He will help museum staff and volunteers hang the exhibit in the most artistic way. The museum will send press releases to the 169 bluegrass associations around the world for inclusion in their newsletters. We will promote the exhibit in our newsletter, on our website, and on the museum’s radio station, RBI: Radio Bluegrass International. Just prior to the Exhibit Opening on 23rd June at ROMP, we will send a press release to our extensive media group and our email blast list of members and bluegrass fans. Artists working on the project will benefit from being included in a prestigious international exhibit. Bill Monroe was a consummate artist who painted with lyrics. If selected, the artwork will be on display in a major cultural institution – The International Bluegrass Music Museum – as well as on stages throughout the nation and hopefully in many other countries during the Monroe Centennial. In this way, the art will be viewed by millions who are predisposed to view it favorably. The art work will be included in the overall sale of the exhibit created during this project, with a standard commission being paid to the artists. For more information visit the International Bluegrass Music Museum, Email Gabrielle Gray or call Rex Robinson at 270-729-4147.